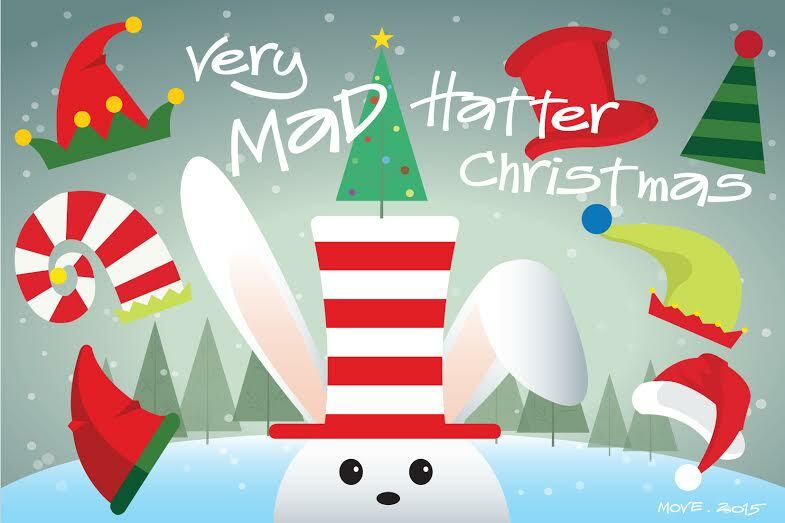 Home › MOVE Community › Very MAD Hatter Christmas Party! Very MAD Hatter Christmas Party! Celebrate Christmas with new and old friends! Please join us for a Very “MAD” Christmas party this year in your maddest, wildest, wackiest hat!!! Ticket includes a sumptuous spread of food, wine and Special Rainbow House home-made Christmas dessert, free use of pool and steam room. Just before mid-night, we will take a walk at the mysterious pearl hill park, the underground reservoir in the mad city. Who knows, we maybe able to find some rabbits there! Reservation will be closed by 23 Dec or when we have reached our full capacity, whichever earlier. You can sign up for your friends too! ALL are welcome!! Let’s go MAD together this Christmas! And please don’t be late. Rabbits won’t wait.